Pontos Requerido: 4750 Os jogos não são compatíveis com dispositivos móveis e tablets. Por favor adicione este título à sua Lista de Desejos e inicie a sessão na sua conta the first club desde um computador para concluir o processo de solicitação. NOTICE: Activation key must be used on a valid Steam account. Requires internet connection. 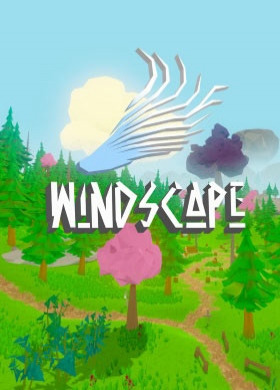 About the gameHi, my name is Dennis and I am the creator of Windscape, a first-person exploration adventure. Instead of just letting you read a boring game description, please allow me to share my vision of the game I am creating. Hopefully you will like what I am working on.Ever since my childhoo… d I was a huge fan of the Zelda series of games, Golden Axe Warrior, Secret of Mana and games in which let you explore a vivid world without time pressures and a too restrictive storyline. Over the past year and a half I’ve been working on my vision of a modern exploration adventure, combining it with my fondness for modern crafting and sandbox games. In Windscape you play as a young girl living on your parents’ farm, set in a lovely world made up of floating islands in the sky. As you discover the world you learn that something has gone terribly wrong - islands are breaking apart and falling from the sky! It’s up to you to discover the evil that is threatening the universe of Windscape.As you travel the world(s) you will gather valuable resources allowing you to craft a plethora of items such as weapons, shields, potions, magical spells and much more. Some items will be just for fun while others are a necessity for your survival. You will meet peaceful NPCs and vicious monsters both on the surface of each island as well as in the dungeons and lairs you uncover along your journey. While I want the islands to work in a non-linear manner, I have decided to make the dungeons more puzzle and combat driven - each with its own style and atmosphere. Windscape will feature tactical fights against larger bosses such as ghosts, ogres and dragons. Of course, there are many valuable items to loot too.What I don't want Windscape to be? A stats-driven RPG, a terraforming sandbox game or a first-person action game. This is why I am asking for your support. I’m building this game for the community and hopefully with the community. I feel your feedback is really needed to match my vision with the high standards you, the players, demand. Because of this I have chosen to go into Early Access, hoping to make great friends and build a community which shares my vision and aids me on my development quest…	Key Features One of my very first decisions was that I wanted the world to feel like a living and breathing environment. While I could have employed procedural world generation, as so many other games do these days, I have decided against this so I can flesh out the most beautiful corners of the world in detail. While this means that sadly there will be a point when “you have seen it all”, I still feel very comfortable with my decision as it allows me to put you right into the world we’re building, with places to remember and stories to tell. I already have the game’s universe mapped in my head but I also want the game to go where the community’s input takes it too. For the final game I am planning for at least four very different maps, and I’ll appreciate the support on choosing the most fitting ones. The game starts on a pastoral island with peaceful nature, a flourishing little village, a water mill and many more idyllic spots to discover. Over the next few months I am looking forward to revealing more scenery and gathering valuable feedback from the players to help me make the next big decisions. Why always a boy? I hope you will come to love Ida as much as she has grown on me during the game’s development. Sent out by her parents into the small neighborhood town to make a delivery, Ida is yet unaware that soon the fate of the world will be resting solely upon her shoulders… I have created a resource and crafting system which is intuitive to use but allows many things to be made. Basically you will find different crafting stations at key places all over the islands, each enabling you to build different things if you have gathered the resources needed. You can cook healthy or just yummy food, craft sweeping shields and weapons, mix mysterious ingredients to create powerful magic potions, melt iron and copper into new forms of metal and much, much more. I want the dungeons to be an enthralling deviation of the more open exploration and story driven game that takes place on the islands surface. The first big dungeon you will encounter is a copper mine infested with rat-like enemies. Here you will also encounter the first bigger boss monster - with a great reward waiting for you if you make it out alive. Some dungeons will be an incremental part of the story while many others and smaller caves are hidden in the world for you to just discover. I hope you like my ideas of Windscape. Together we can all create a game which lives up to the vision I have set forth. Thank you for your support! System Requirements Windows - Minimum OS: Windows 7/8/10 Processor: Intel i3 or AMD equivalent Memory: 4 GB RAM Storage: 2 GB available space Windows - Recommended OS: Windows 7/8/10 Processor: Intel i5, 4 x 2.6 GHz or AMD equivalent Memory: 4 GB RAM Graphics: NVIDIA GeForce GTX 480 or ATI Radeon HD 5850 Storage: 2 GB available space © 2016 Magic Sandbox - Dennis Witte© 2016 Headup GmbH, all rights reserved.